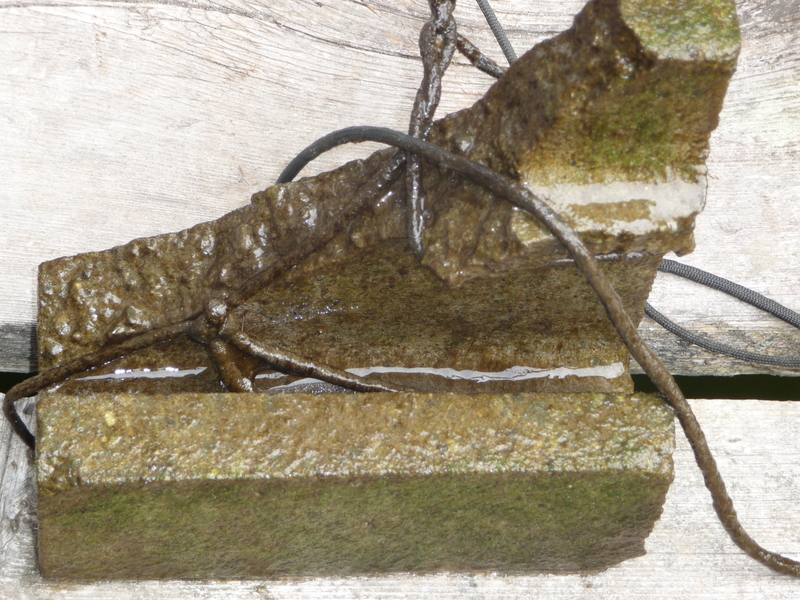 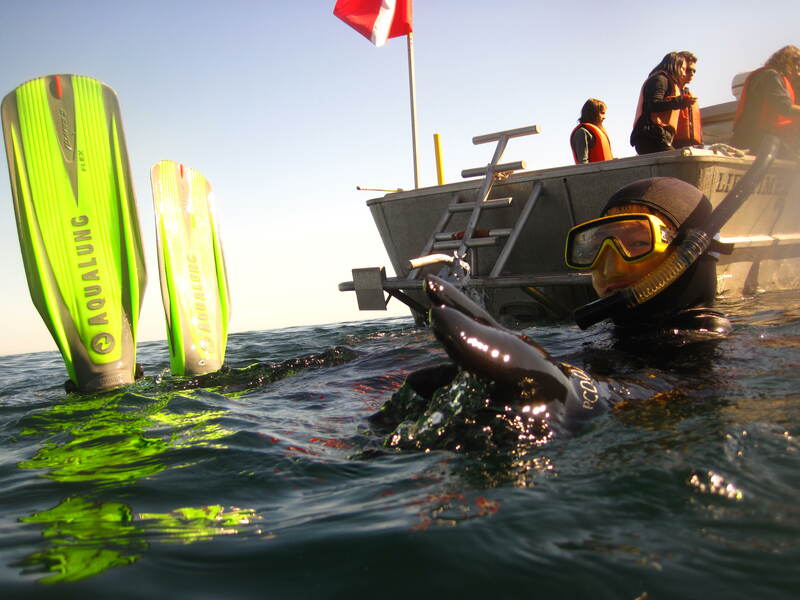 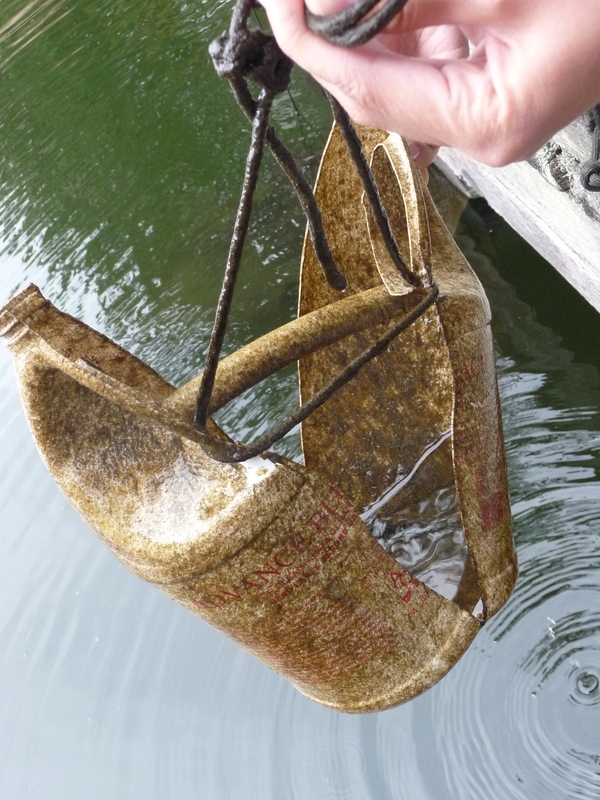 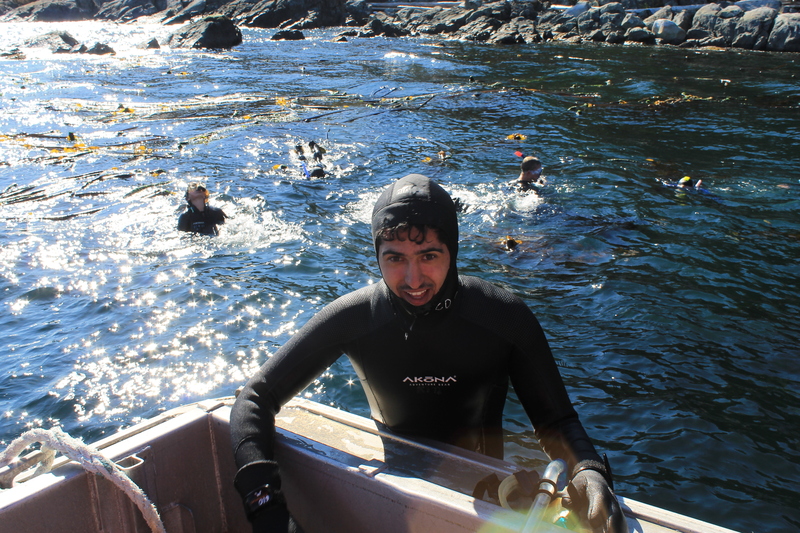 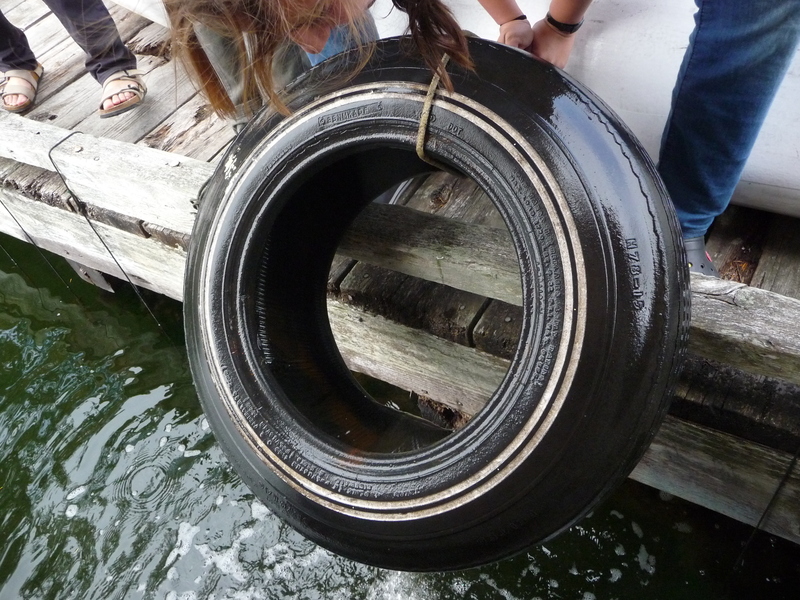 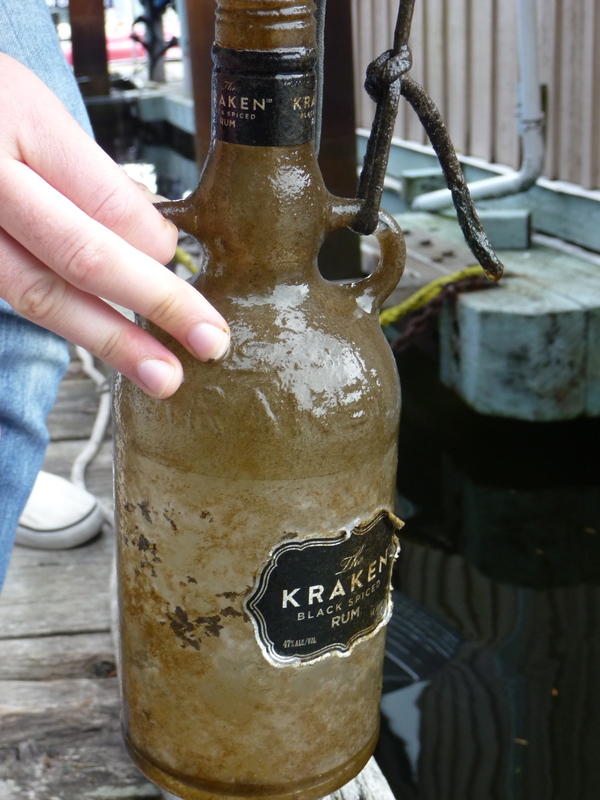 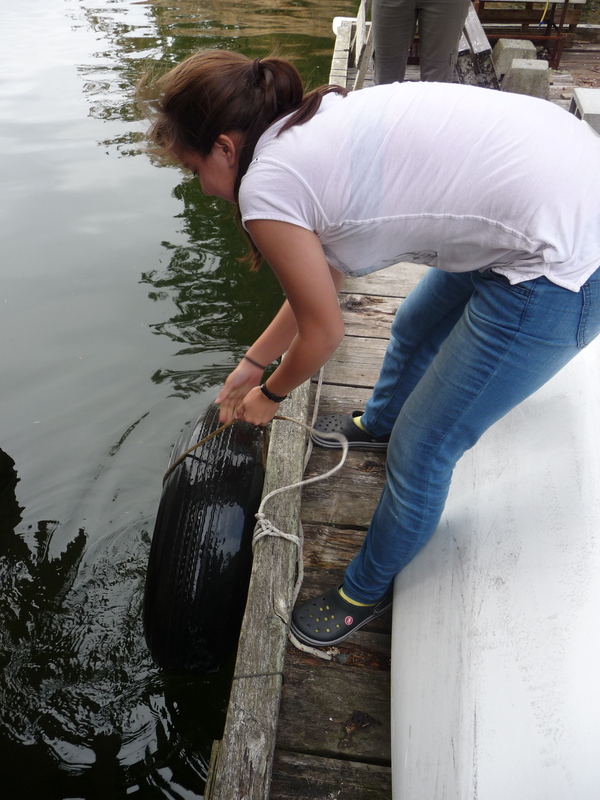 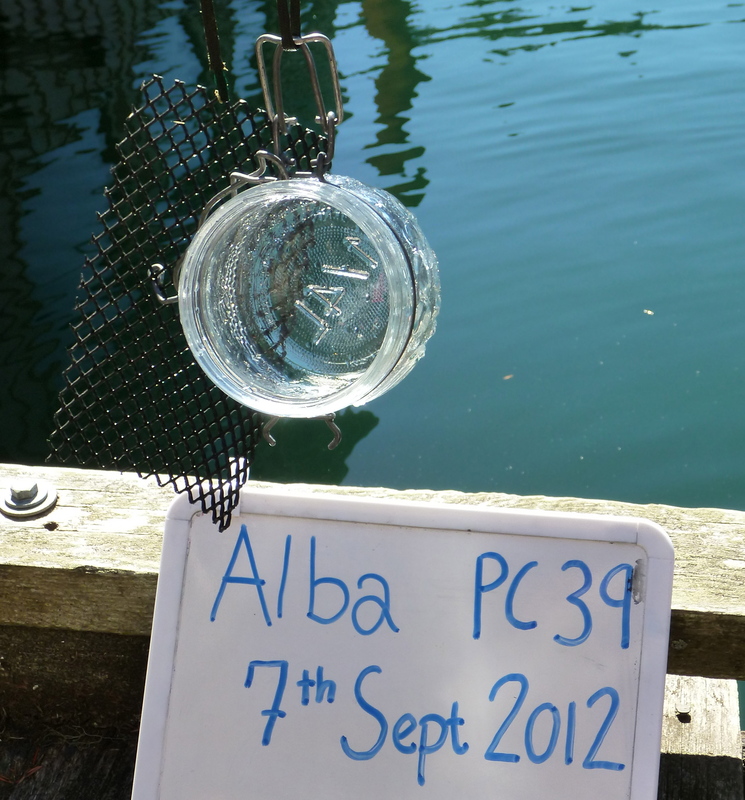 On 10 October 2012, B block marine scientists went down to the Pearson College dock and checked on the substrates that they had suspended in the water on 7 September 2012. 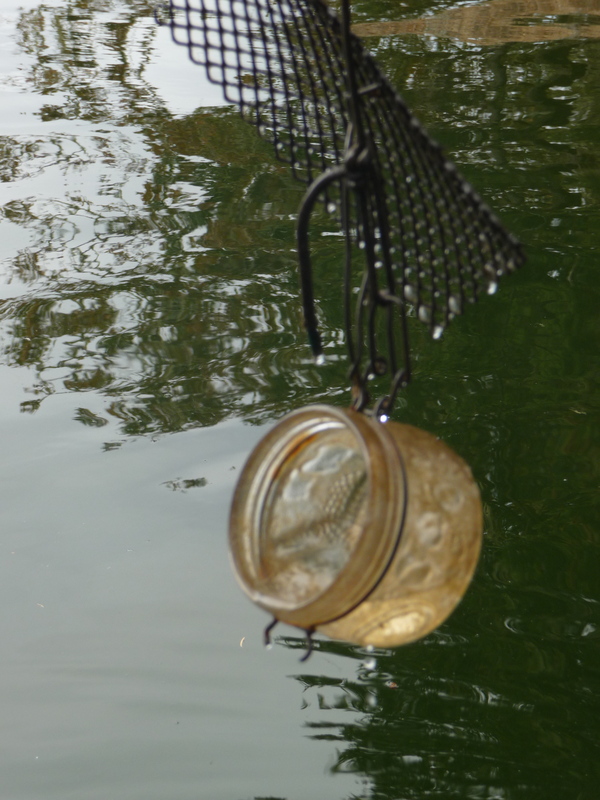 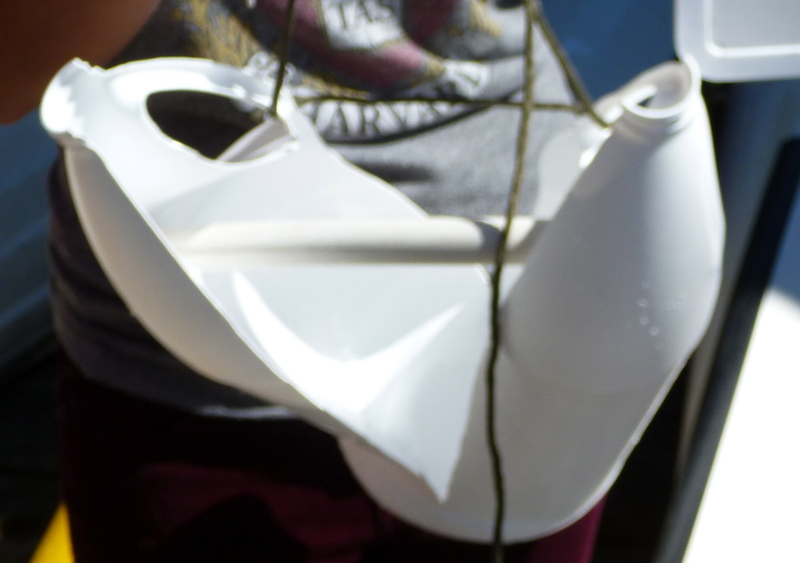 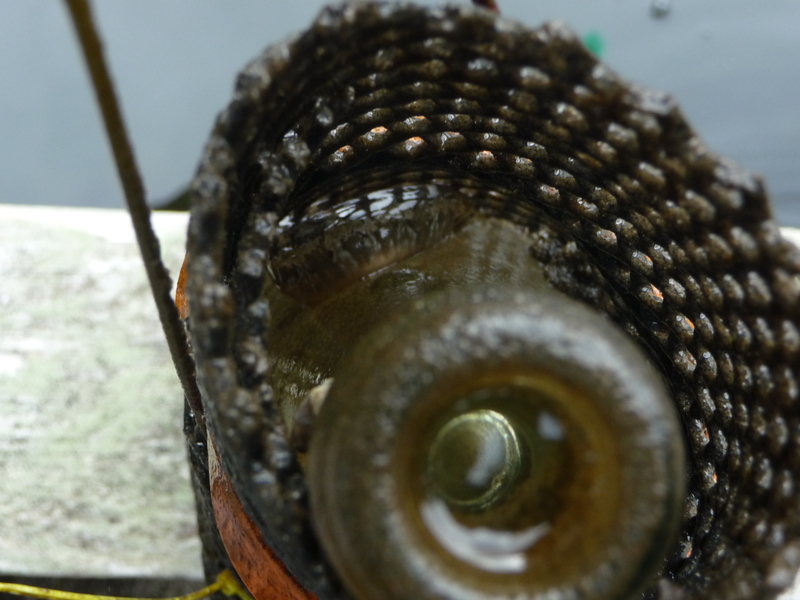 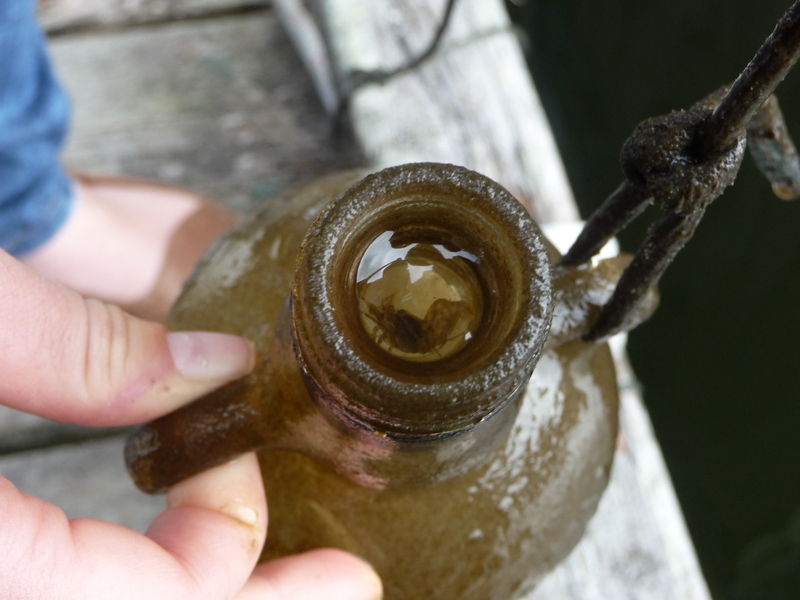 …had a crescent gunnel living between the bottle and the mesh covering. 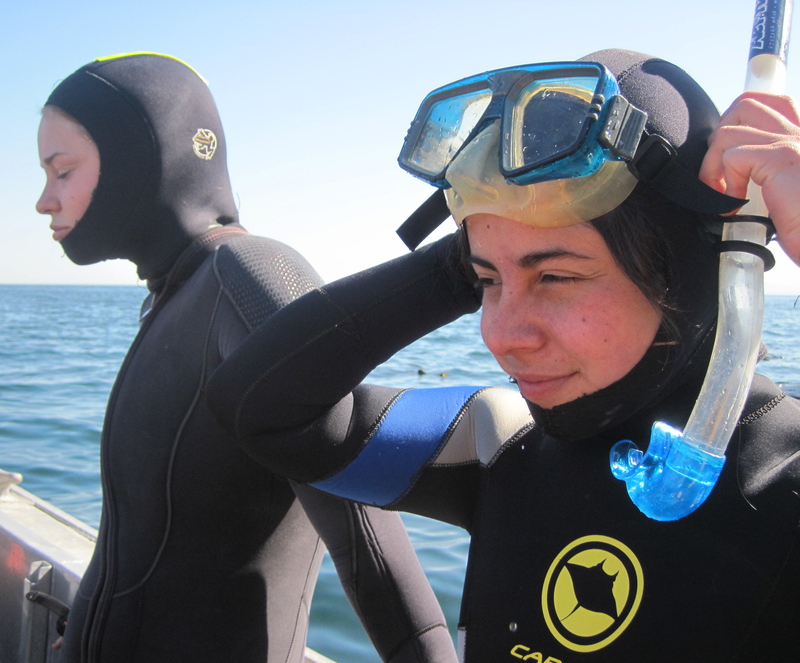 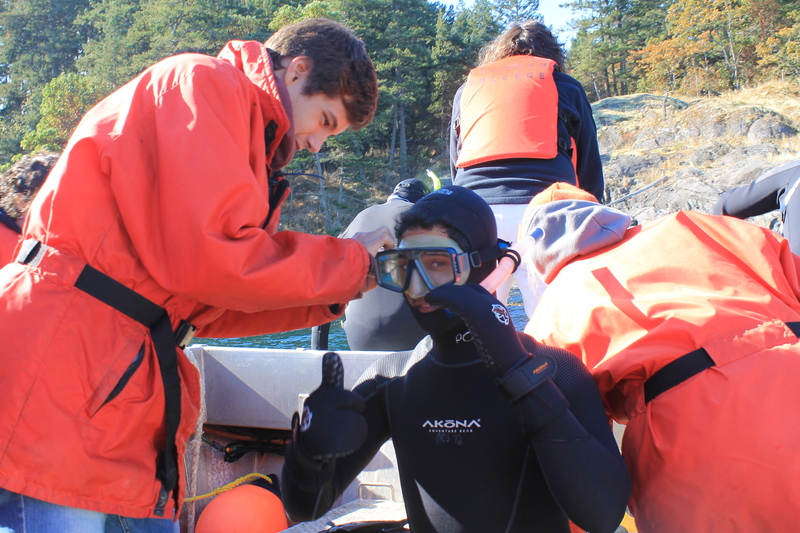 At 8:15 am today, first year marine scientists measured seawater temperature and salinity off the Pearson College dock. 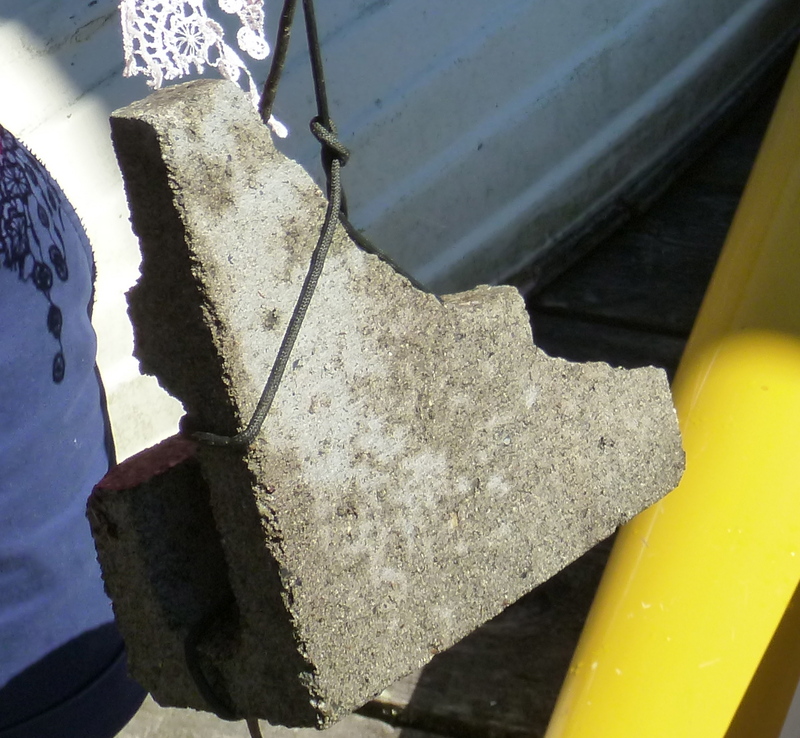 An interesting effect of the massive rainfall this weekend. 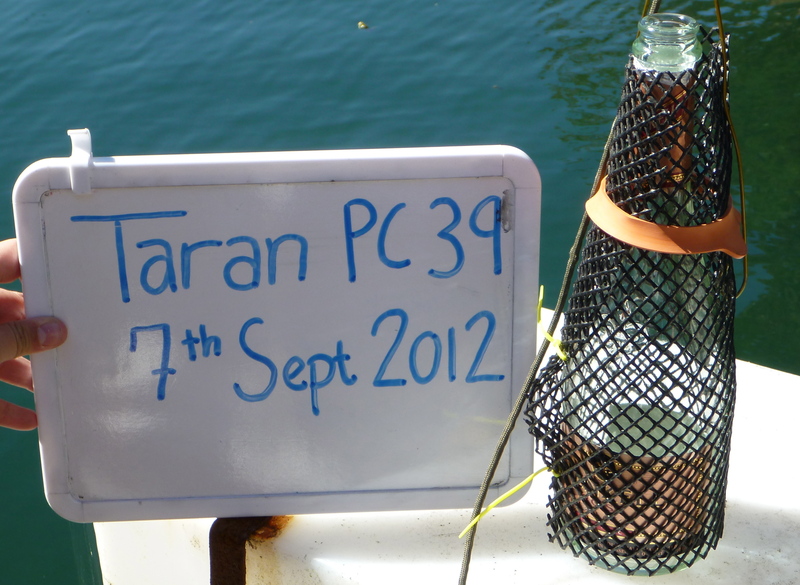 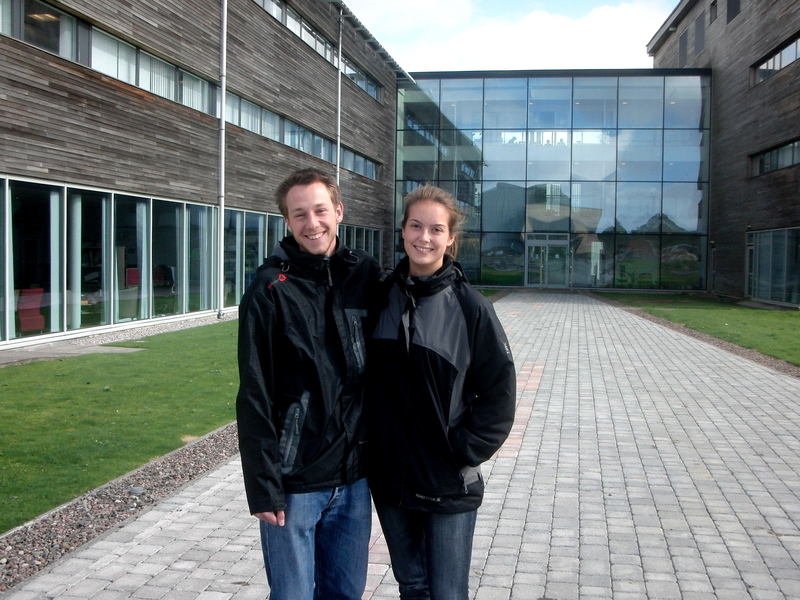 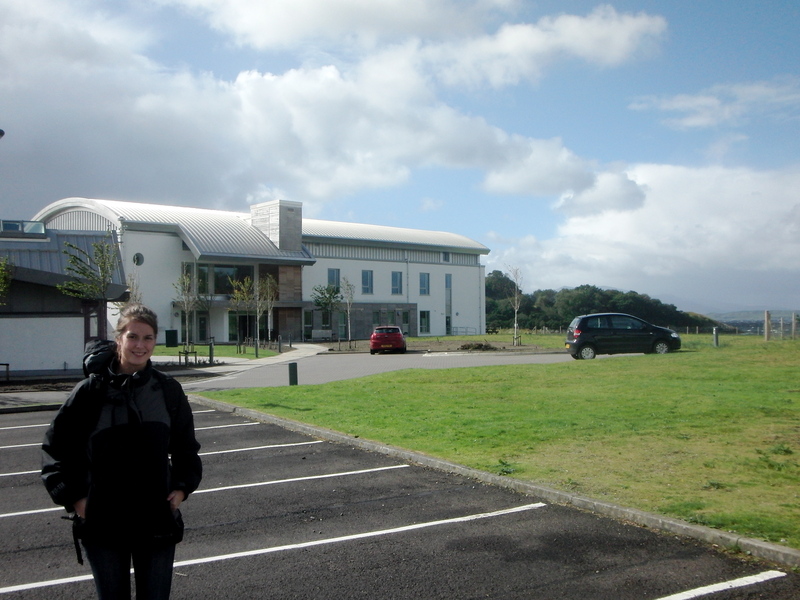 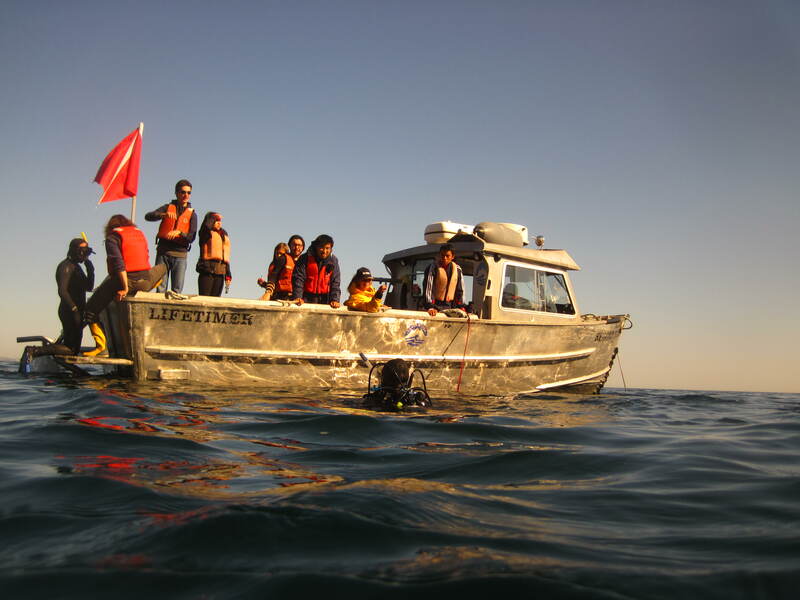 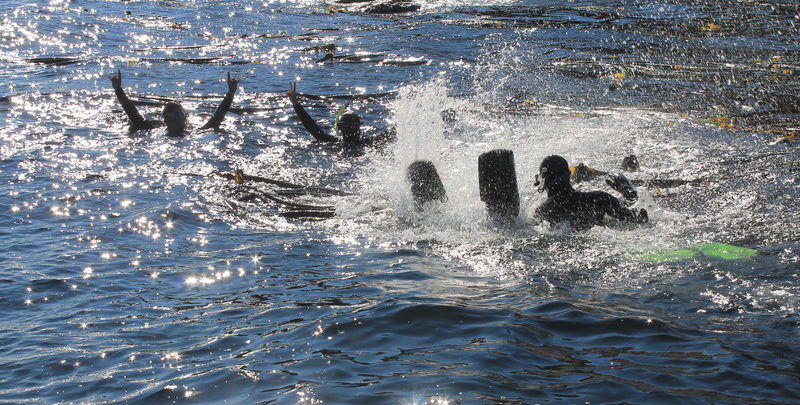 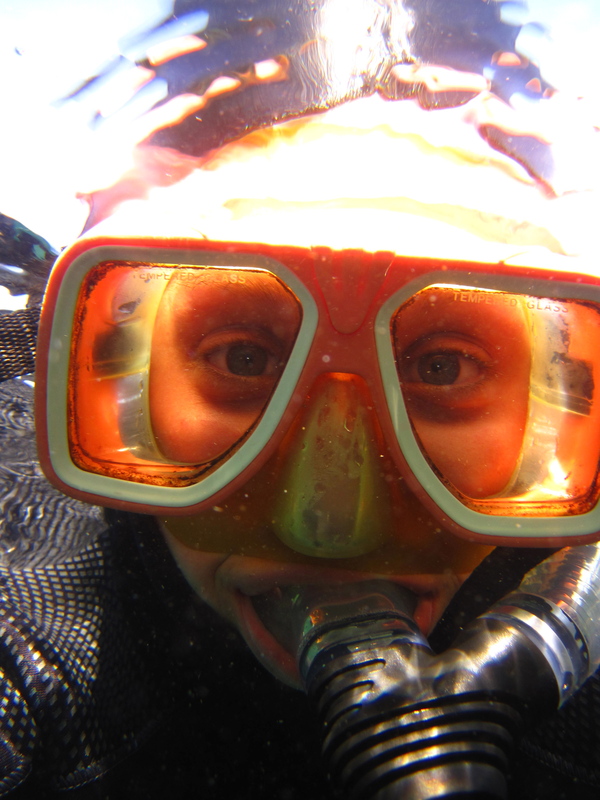 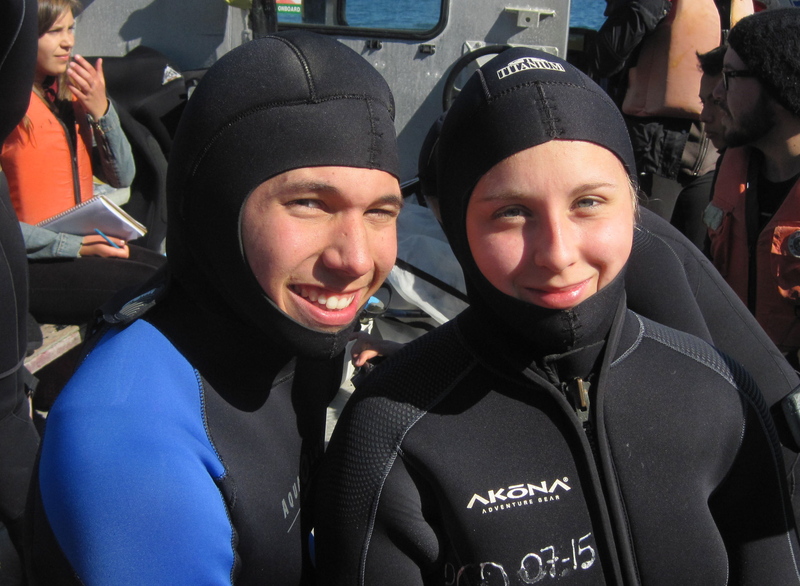 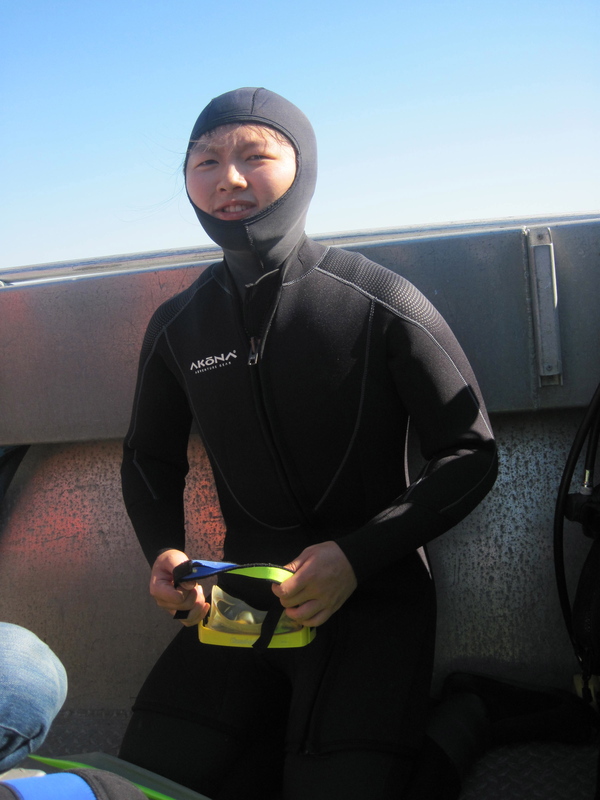 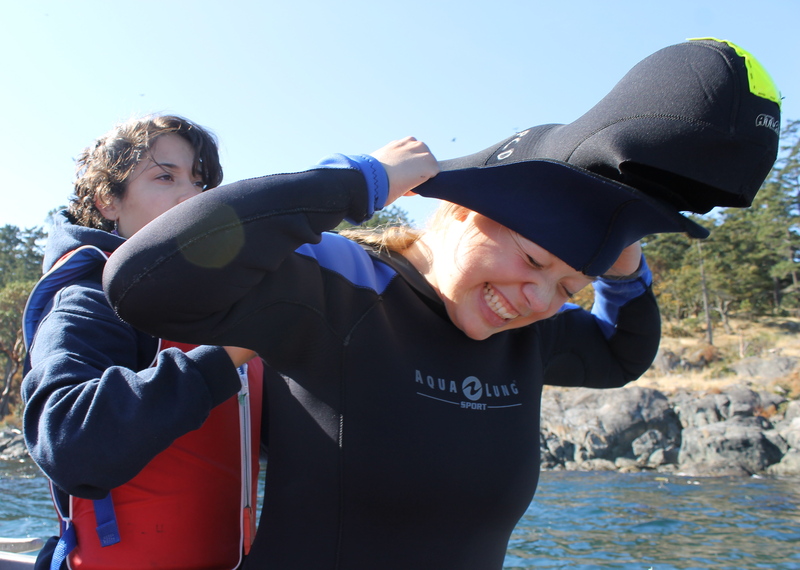 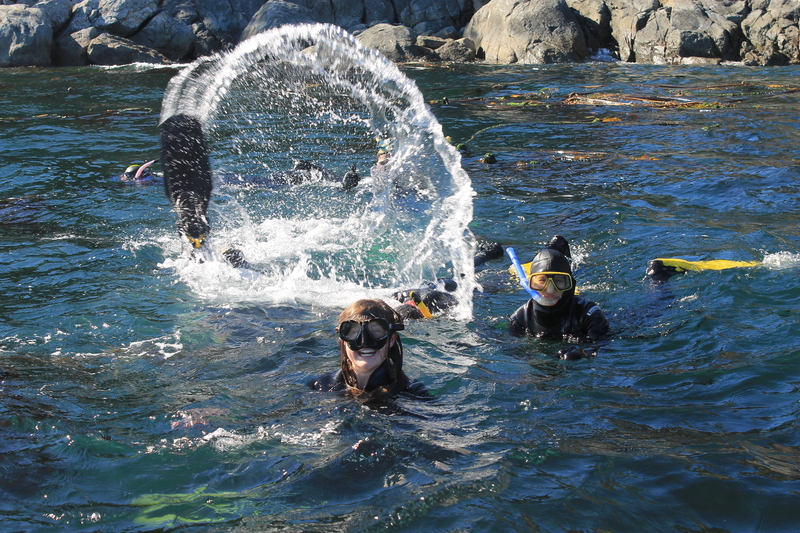 Second year marine science students went on a spontaneous field trip on the afternoon of 1 October 2012. 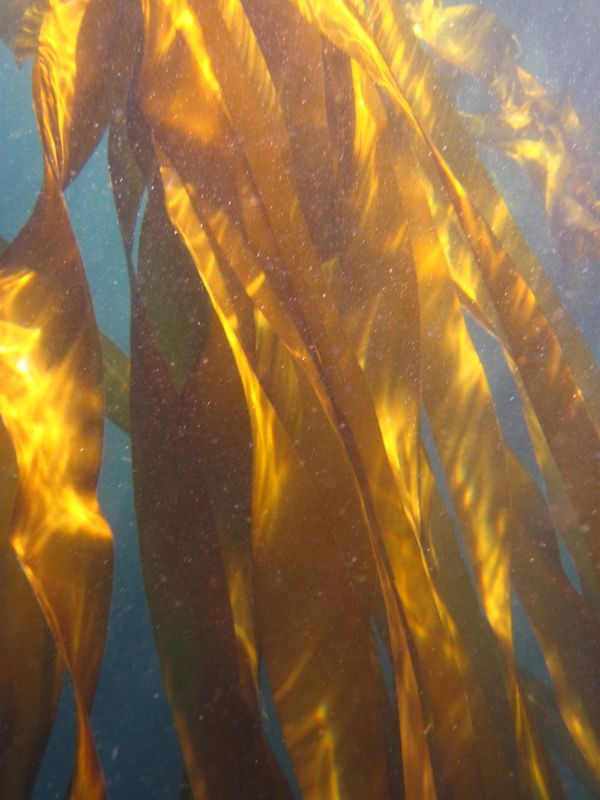 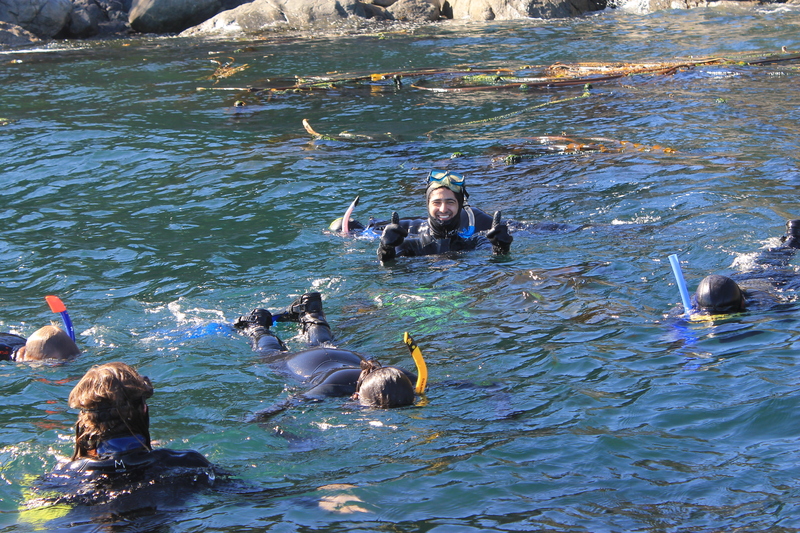 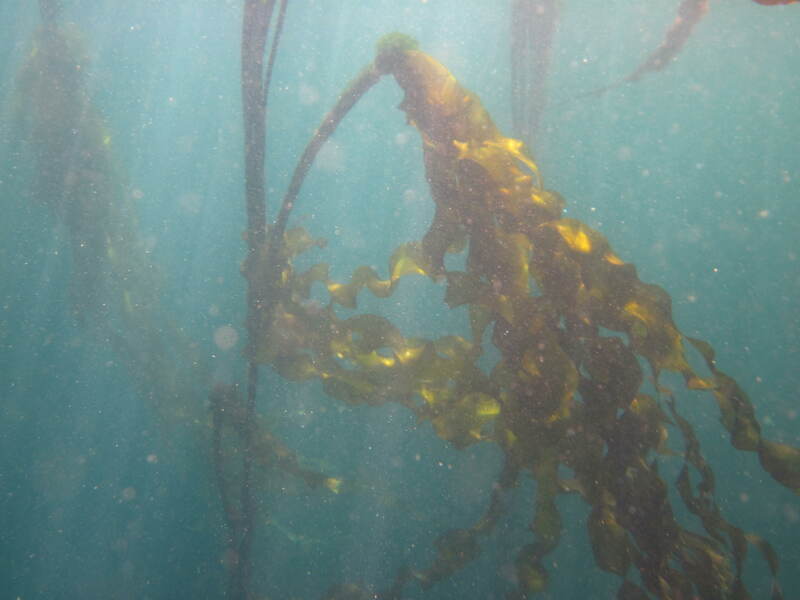 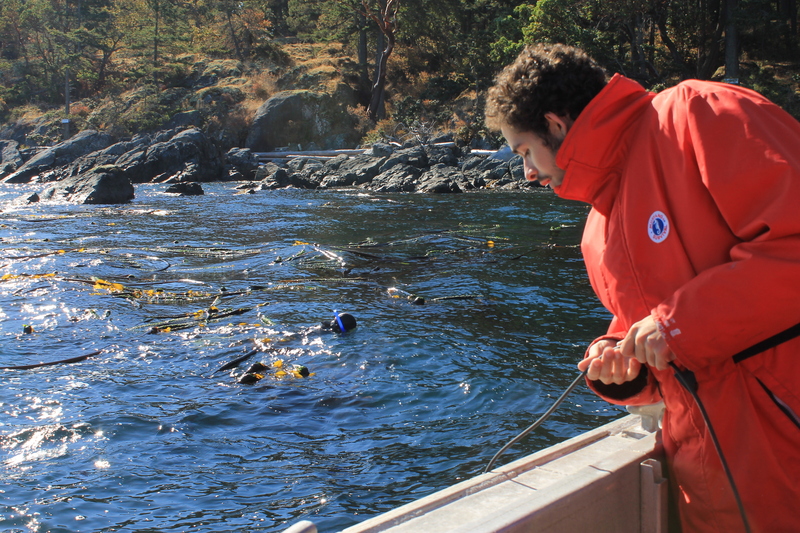 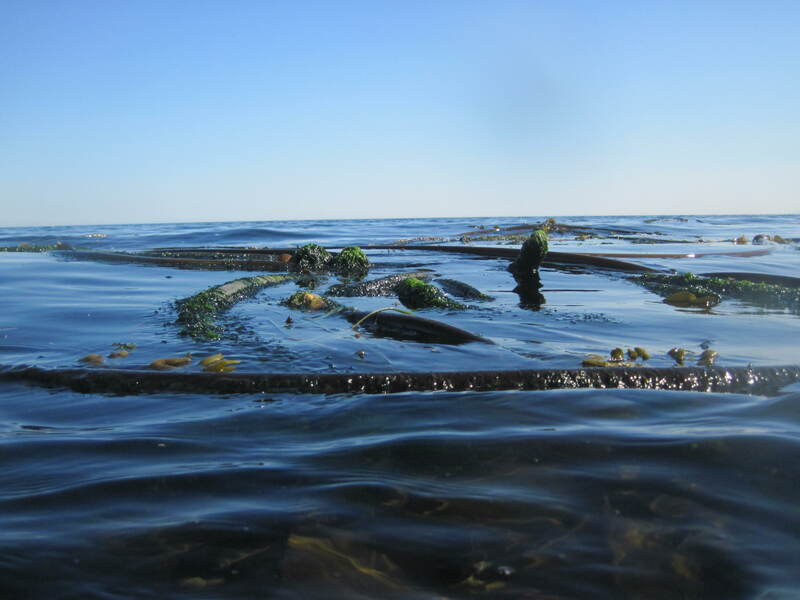 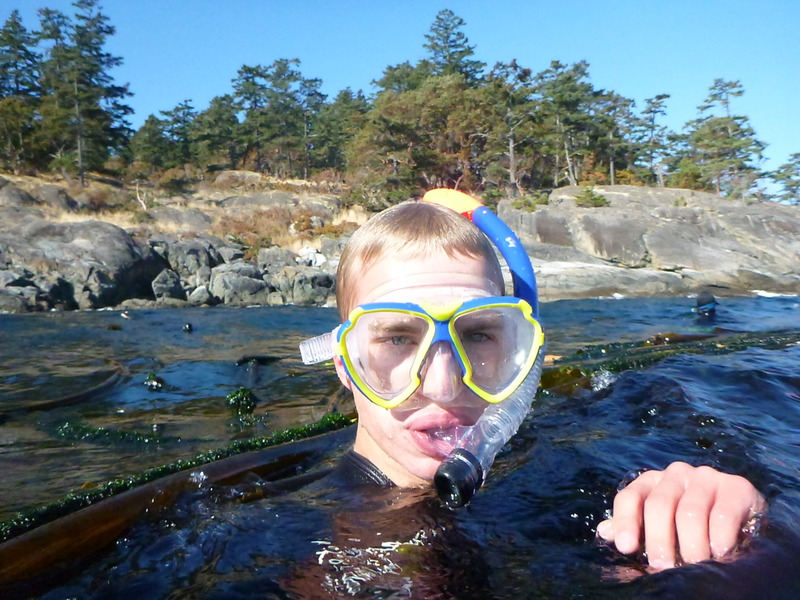 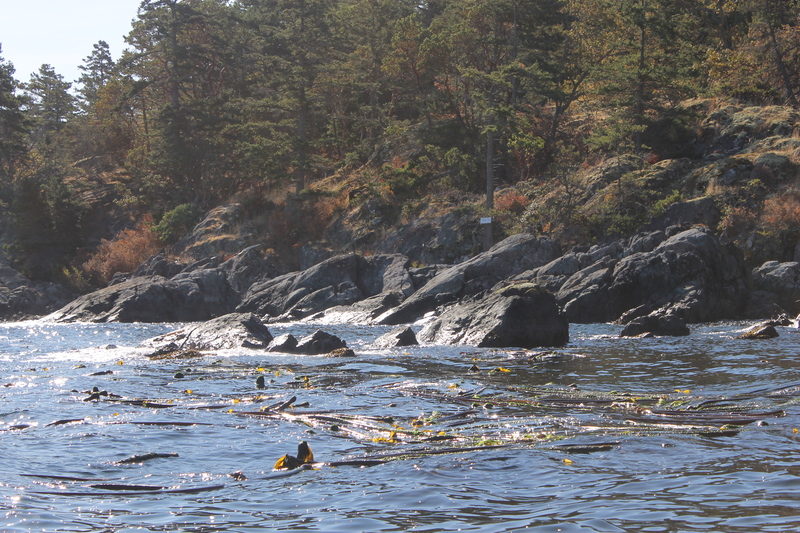 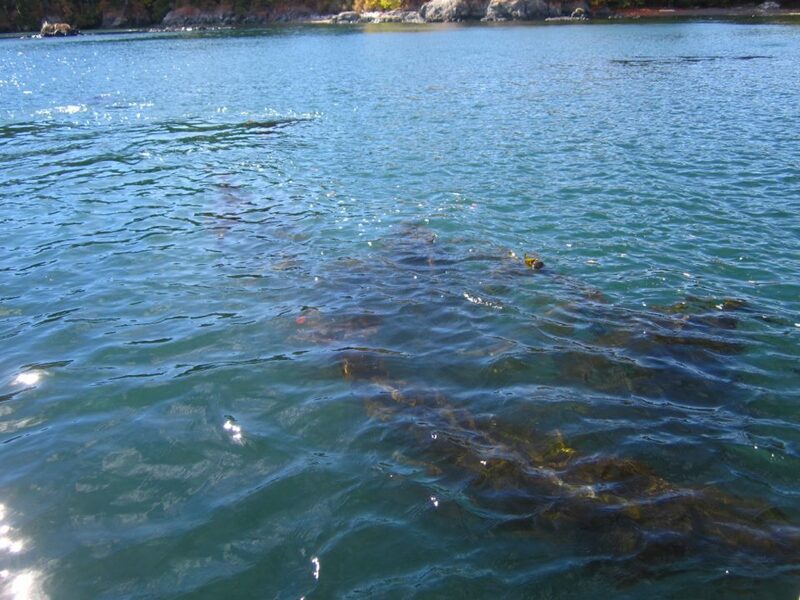 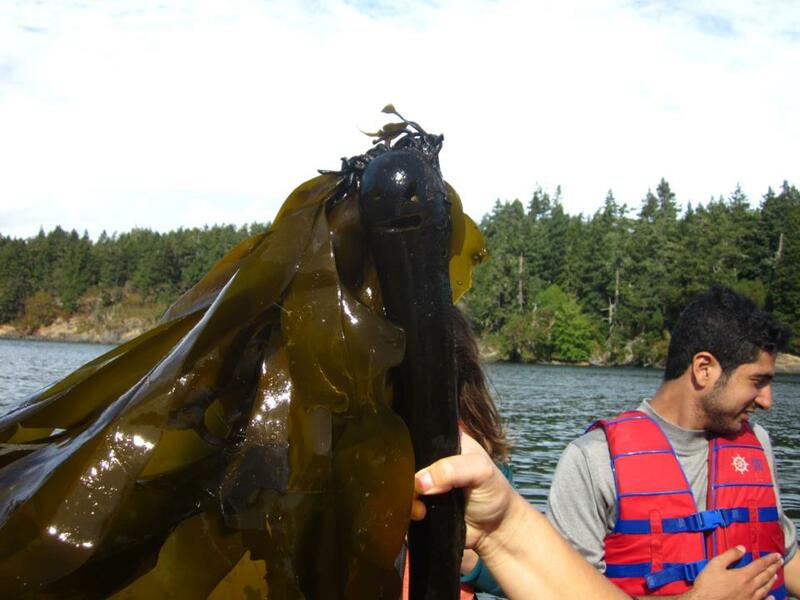 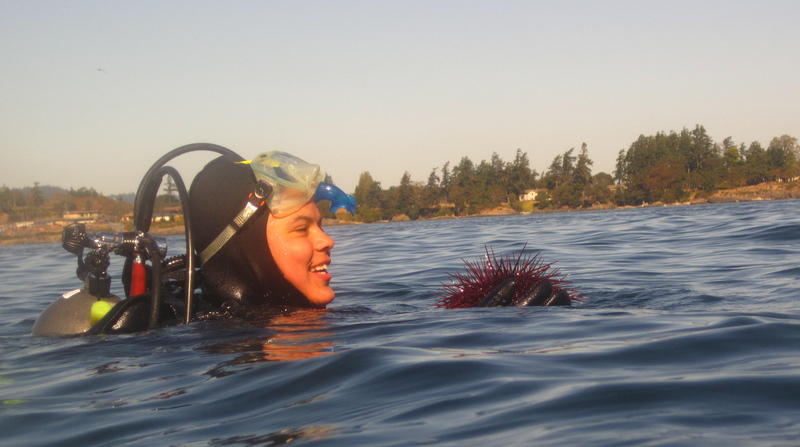 We travelled to the green buoy in Pedder Bay where there is a tiny patch of bull kelp (Nereocystis luetkeana). 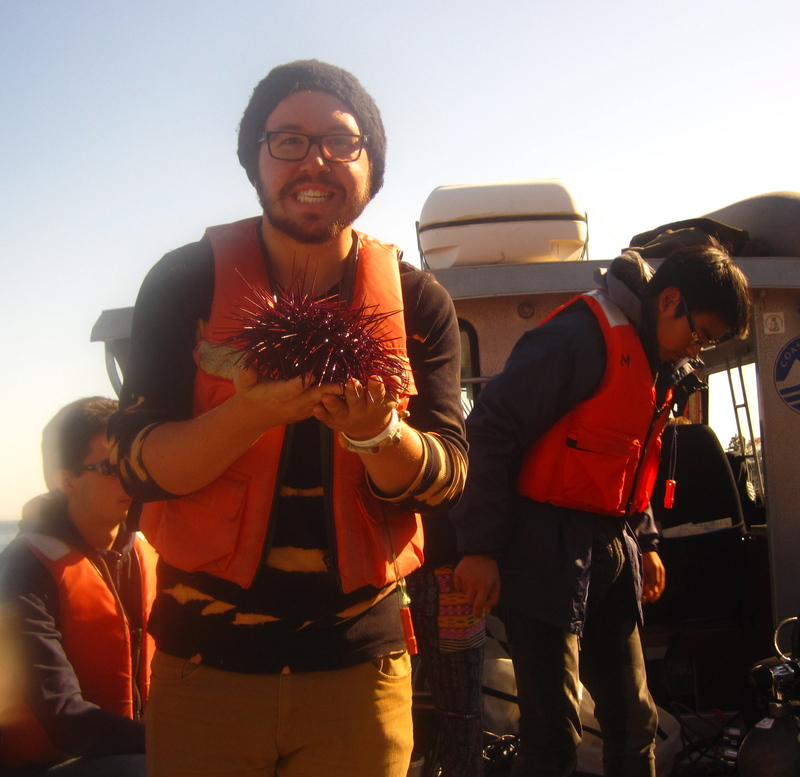 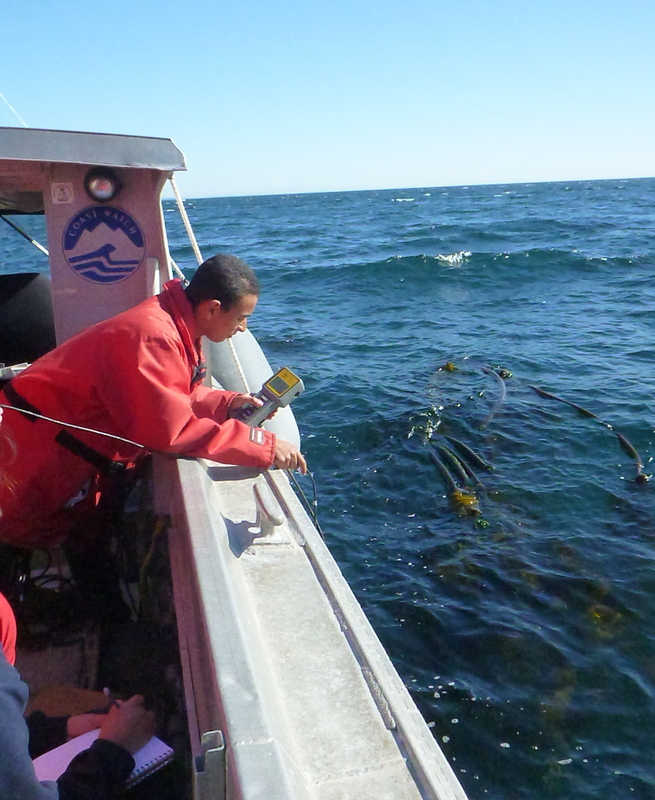 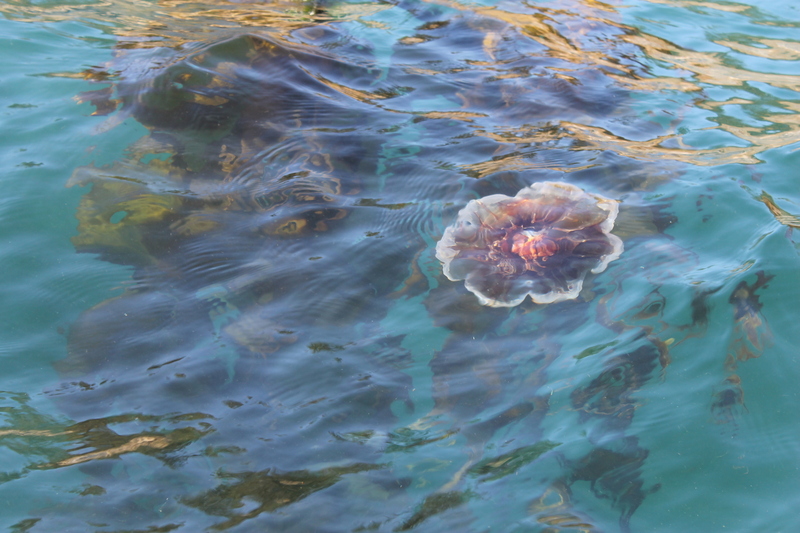 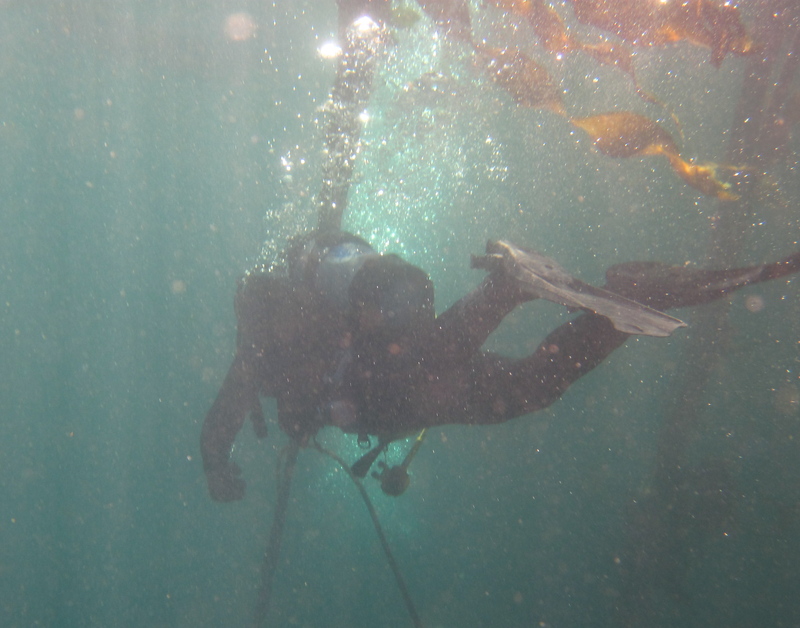 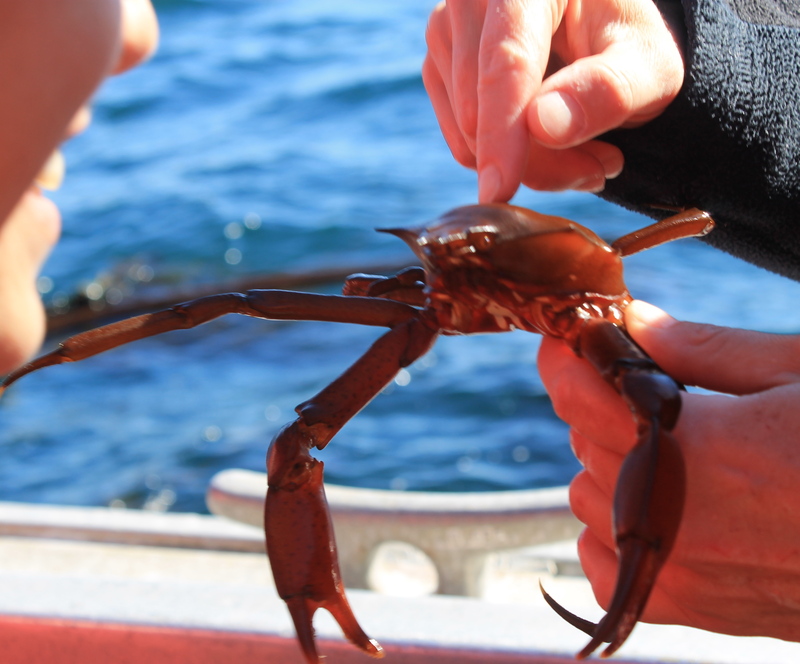 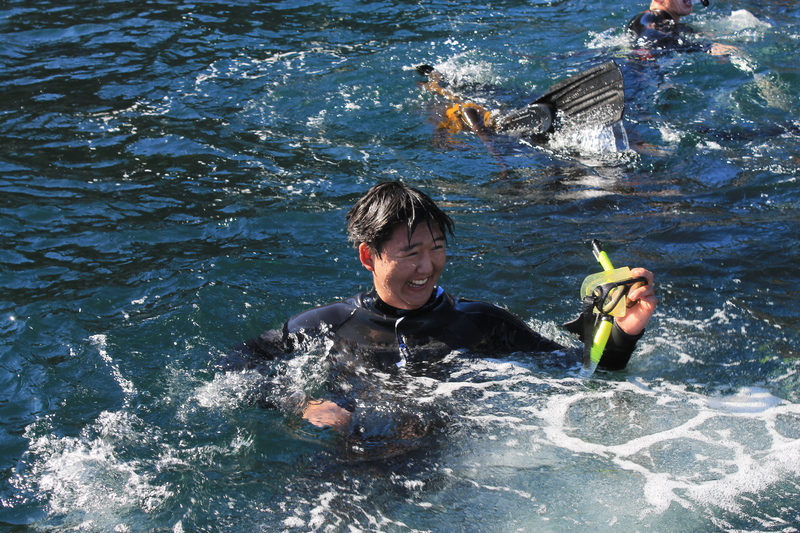 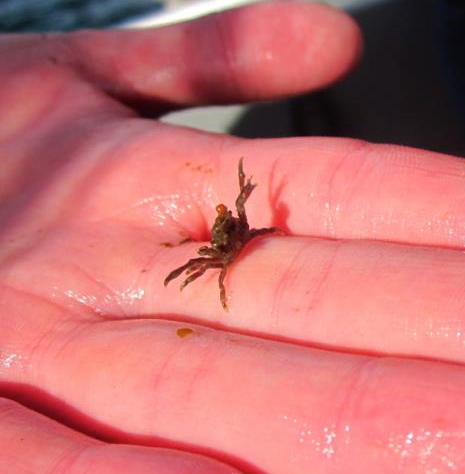 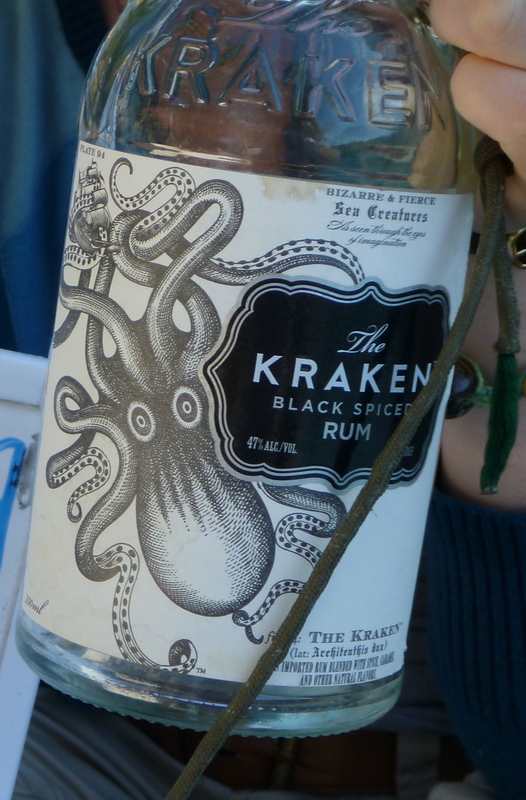 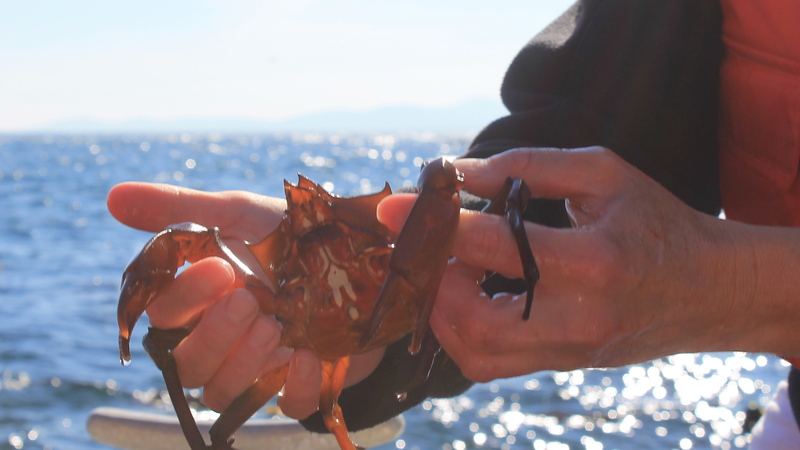 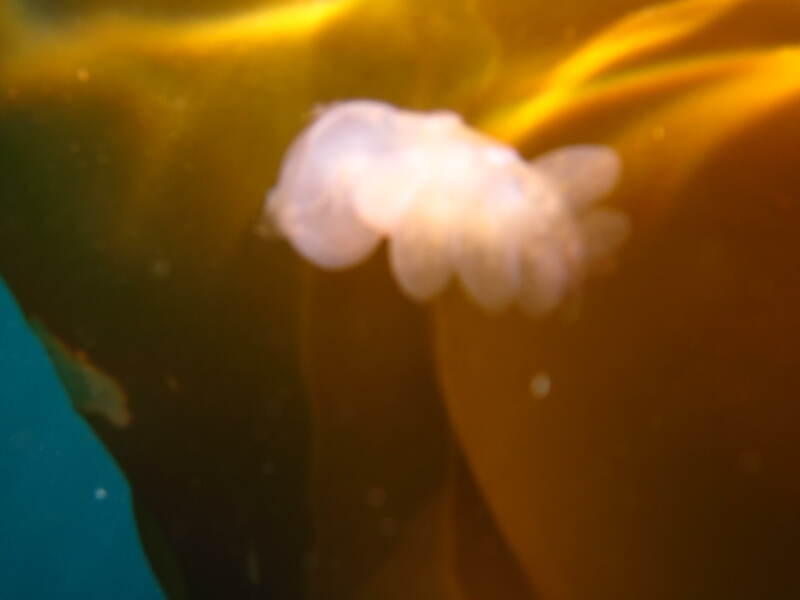 We pulled one of the kelps on to our boat and found a few very interesting organisms living amongst the blades. 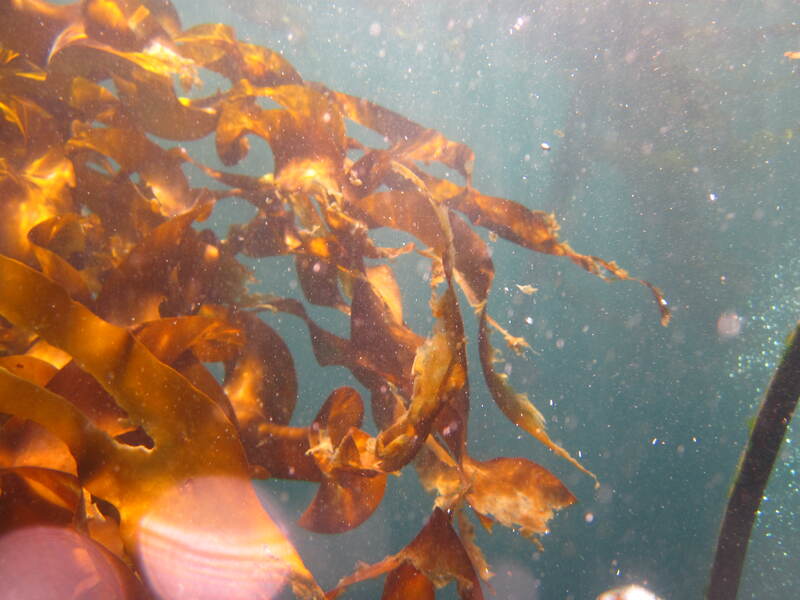 Kelp crab (Pugettia producta) on bull kelp blades. 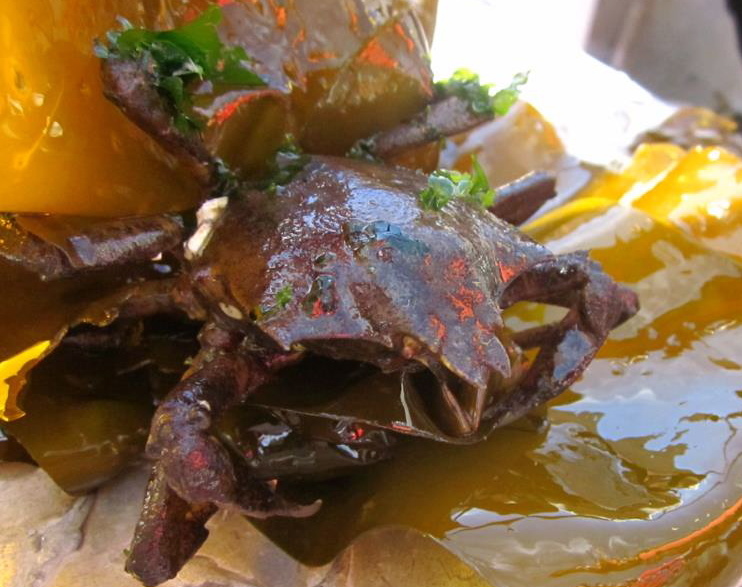 This is an ovigerous (egg-bearing) female with a lot of algae & some barnacles on her carapace. 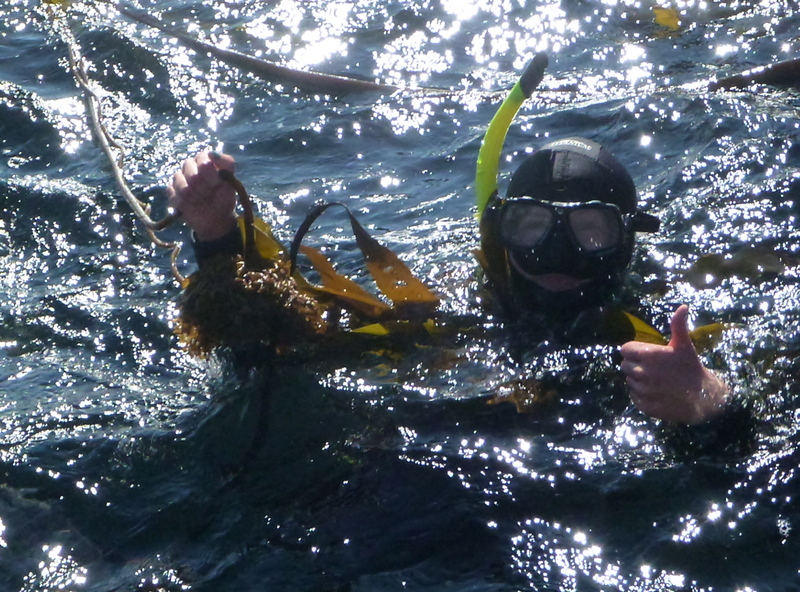 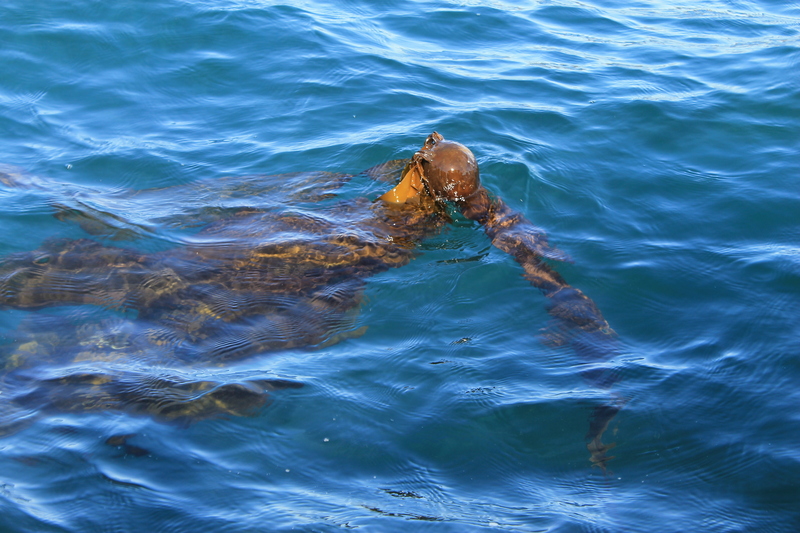 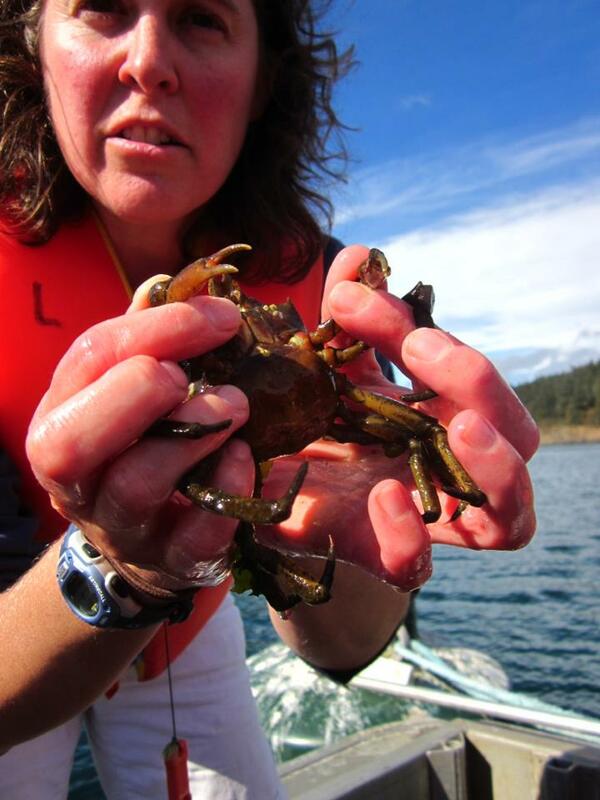 Notice her ‘cutting’ claws used to tear pieces of kelp. 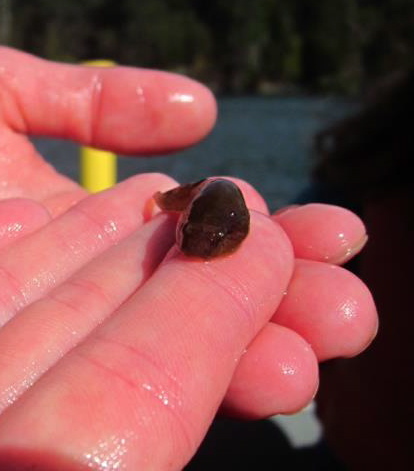 A northern clingfish (Gobiesox maeandricus).